ESTIDAMA Sustainability Consulting and Energy Modeling (Design and Construction). 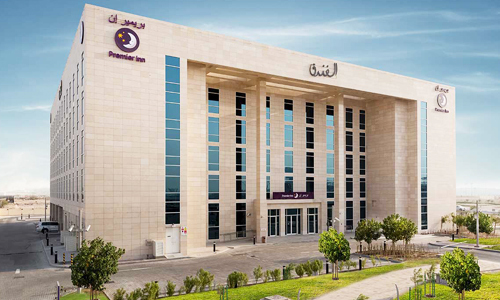 Premier Inn is positioned on one of the busiest locations of the Abu Dhabi International Airport precinct, just across the street from the Terminal 3. The Design of this building is the outcome of a careful mix of hotel functions displayed in simple and clean architectural masses seeking distinguishable presence in the surroundings. The project is G+5 with GFA of approximately 9,000 m2. Sustainable design is yet another feature of the project. The building will be designed, detailed and constructed to carry an Estidama Sustainable compliance credential demonstrating the efforts done by the stakeholders to share the environmental responsibilities towards the surroundings and beyond. The project satisfied the requirement of achieving 2 Pearls Design Rating as outlined in Estidama Pearl Rating System for Buildings. The project has currently completed all 5 stages of construction site audits conducted by Estidama and is preparing for the final Construction rating submission. Salimus scope of work included overall Sustainability management and energy modeling.